Do you have this (look down) problem after installing the new version of Gmail? That is, when you open a message, all you see are options for archive, mark unread, and add to folder? You're not alone! If you downloaded the new version of Gmail (v4.5) from the Play Store today, it's likely that your "Archive & delete actions" were reset when the app was installed. We're not sure why Google did this (well maybe Google doesn't really want you deleting your email, that would make sense from a business standpoint), but here's how to fix it. Hit the menu button, and go to settings. Then, go to general settings. You should see the option below at the top of the list - Archive & delete actions. Right now, it's set to "Show archive only" - and at this point you probably don't need much more of my help, but I'll explain anyway. 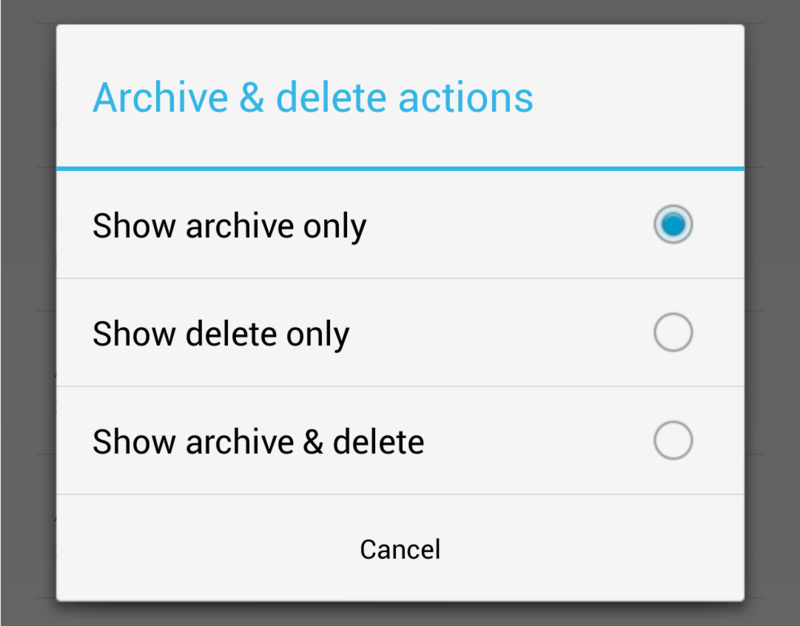 Tap it, and you get three options - archive only, delete only, and archive & delete. The third option gets rid of the 'move to folder' action. Choose the one you want (probably the second or third), and you're set to go - your little trash icon will return. Here's how it looks with archive & delete selected, for example. 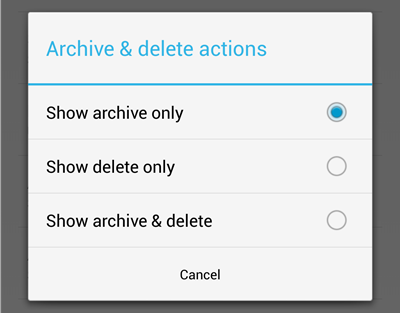 Do note, however, that selecting archive only or archive & delete will make it such that your swipe action will only be able to archive. If you still want to swipe to delete, you must select 'delete only' from the actions menu above. Yep, that's kind of annoying, right? It certainly had me scratching my head for a couple of minutes. 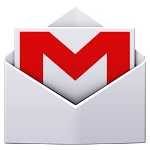 If you haven't update to Gmail v4.5 yet, it's on the Play Store now. By the way, if you're having trouble with multi-select in the new Gmail, fret not - it still works. Check out this article.